What would be the best online advertising for you? 1. The one that promotes your products and services to a target audience! 2. The one that gives your property offers international exposure and thus raises your sales! 3. The one that builds credibility with your clients as they would definitely choose a top-rated company! 4. The one that improves your profitability for a firmly fixed and affordable price! 5. The one that offers you statistics for every single banner, view or visit to your publications! If this is the best online advertising for you, then www.domaza.com.vn is your proper choice! We offer 3 different plans for Featured properties depending on the priority placement of your ads. 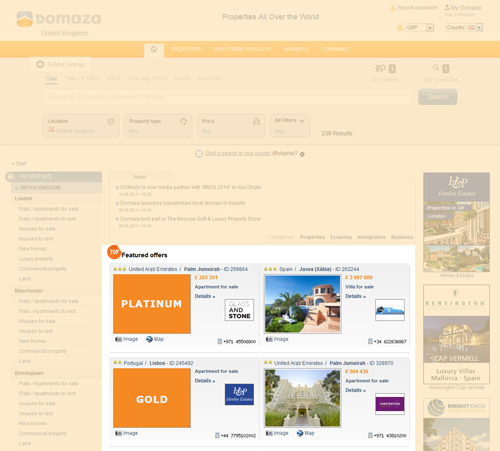 “TOP Featured Properties” – “Gold” and “Platinum” Plans give you the opportunity to promote your properties on the Homepage of a chosen local site of DOMAZA. The properties are displayed in an arbitrary way and each time you visit our Homepage, your property will exchange positions within the properties with the same plan. 1. „SILVER“ – your properties are displayed with 1 star and have priority placement in search results by location. 2. „GOLD“ – your properties are displayed with 2 stars and have priority placement on our Homepage and in search results by location, following the ones with "Platinum" plan. 3. 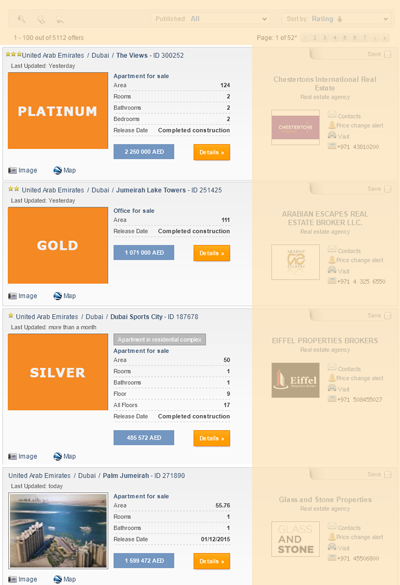 „PLATINUM - your properties are displayed with 3 stars and always have guaranteed TOP priority placement on the Homepage. They also appear above all other publications when search by location is conducted. Optionally, the "Platinum" Plan enables direct opening of your corporate website, i.e. it has the characteristics of a banner. 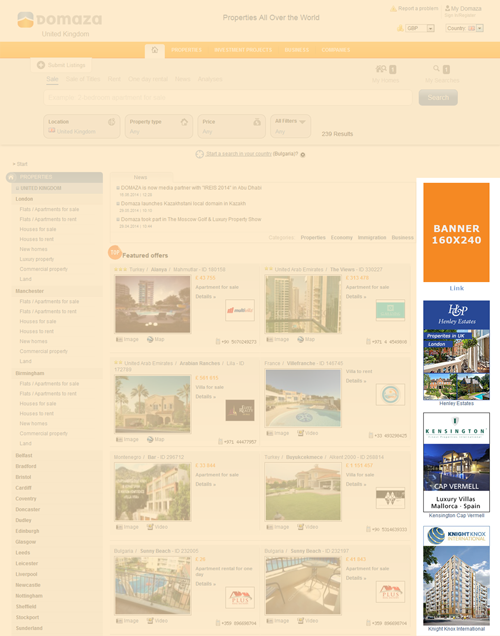 The minimum number of properties displayed on the Homepage is 24. However, when there are more than 24 properties with “Platinum” plan, the system will automatically increase the number of displayed offers. If the properties with "Platinum" plan are less than 24, then the properties with "Gold" plan will be displayed until all vacant positions are fulfilled. Domaza offers 10 vacant banner positions each month. Banners are placed on the right side of each page of Domaza. Within one banner position you can put 4 different banner ads to be loaded sequentially (25%), 2 banner ads to be loaded at 50 % or 1 banner ad to be loaded at 100 %. We place the banners from the beginning until the end of each calendar month. - When clicked, the link opens in a new browser window. The print editions DOMAZA.RU – „Недвижимость по всему миру“ and DOMAZA.АТ – „Immobilien aus der ganzen Welt” are not just magazines, but rather luxury real estate catalogues, in which you have the opportunity to publish your most exclusive and attractive offers! You are a big construction company or real estate agency and want to advertise effectively and affordably for at least 6 months? Please, do not hesitate to contact one of our representatives who will prepare an exclusive promotional package, taking into consideration your specific needs and in accordance with your advertising budget.